Cement-based mortar for screed for tiling destination. 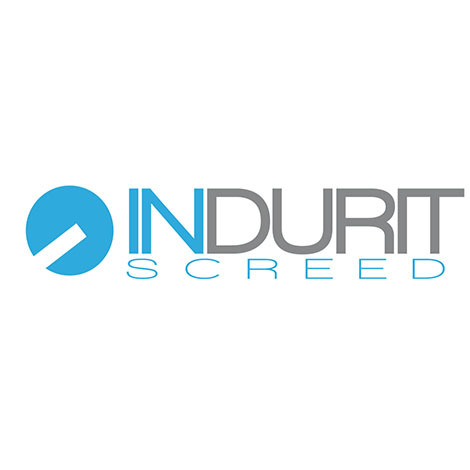 Indurit Screed is a mortar designed for the screed production. Ready for use, it allows the application, on concrete, of an adhesive surface, such as tiles, over a 20 to 80 mm thickness. A quality product for esthetic and resistant floor. ndurit Screed is ideal to lay a floor that bonds with any kind of support. When the support is made of concrete, it must have been laid for at least 28 days before the use of the mortar. 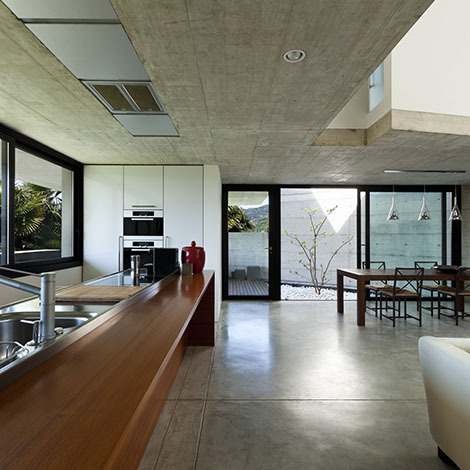 If the support is made of tiles or ceramic, Indurit Screed can be applied on condition that you respect some terms. The concrete is anyway the most adapted support for this product, available in natural grey or pigmented thanks to the addition of iron oxide pigments. Indurit Screed is also sold in various colors, from grey to yellow, by way of red, brown and anthracite grey. Suitable for all types of surface of which the adhesive strength needs to be superior to 1,5 MPa, Indurit Screed dries in 21 days once applied. Furthermore, it is possible to walk on the treated floor only 12 hours after its utilisation. Aside from protecting the floor, this quality product is easy also to apply. If Indurit Screed is a quality product with fast utilisation, its application also is. To apply the product on the desired surface, you must first prepare it with a clean-up, in order to remove dust and other material that could potentially prevent the full adhesion of the screed. Shot-blasted or shaved, the support will be even better prepared to receive Indurit Screed. To optimise the efficacity of the product, it is advised to fill cracks with a width above 1mm, sawcut joints and to respect construction and expansion joints, that will have preferably been closed with the help of filling product such as Roc Ragréage Epoxy or MMA. The second phase of application consists of a primer application. 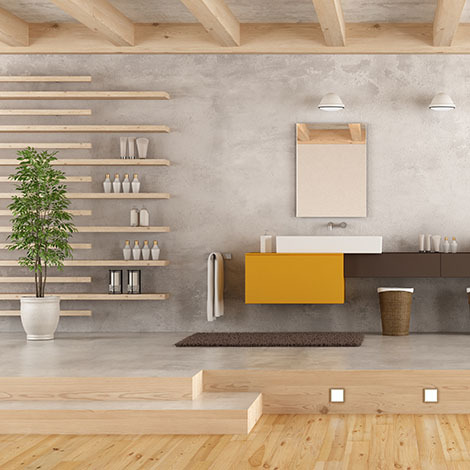 To do so, humidify the surface without leaving residual water. Use then a primer such as Cemcol or Roc Prim if it wasn’t possible to proceed to the humidification of the support or if it similar to tiles. The screed laying is the following step. Mix a bag of Indurit Screed, it being 25 kg of the product, with 2,3L of water, with the help of a mixer, then pour it on the previously applied primer when it is still humid (it is important for it to have not dry, creating otherwise the risk of an uncomplete adhesion of the mortar). Depending on the desired thickness, Indurit Screed will be spread with a steel rule and then smoothed with a trowel. In the end, the finish must be done with a power trowel equipped of a smoothing device. To allow a longer processing time of the surface in order to enhance its aspect, you can proceed to a slight humidification. The edges must be smoothed out as usual. The treated surface will finally be finely ground, after having been treated with Roc Seal. The result will be similar to a waxed concrete. Hoover then the last residual particles, clean the support and apply twice some Hydroprotec. To be fuly effective, Indurit Screed must be applied at a temperature between 5 and 30°C.